Play Queen of Hearts™ deluxe online for free now! Affairs of the heart take centre stage in Queen of Hearts™ deluxe - and they will net you valuable Twists! Win hearts in our romantic slot and you could quite literally be off in 7th heaven! The gentle Queen of Hearts will make your heart beat faster because thanks to Cupid's helpers you are lucky at games and lucky in love! Land 5 identical symbols along a win line! Your winning patters run from left to right along the reels. They form different patterns, the so called win line profiles. To win you have to land several matching symbols side by side along the same winning line. Please note: Your combination of symbols has to start on the first reel to the left and cannot be interrupted. 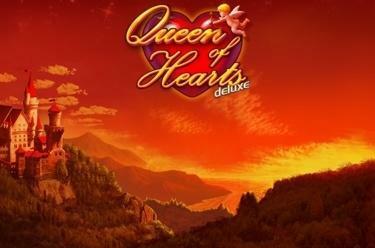 3, 4 or 5 Queens of Hearts in any position win 8, 15 or 20 Free Spins! The Bonus game uses the settings from your last regular game. Cupid’s helpers are well versed in Free Spins - and with a little luck they will appear when the reels have stopped to randomly distribute bonus hearts on the screen. 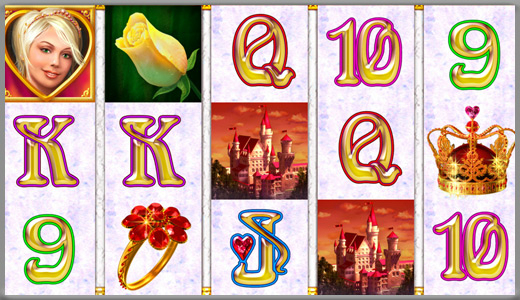 The hearts can substitute all symbols except the Queen of Hearts and can be used to complete your winning combinations. Additional queens in the Free Game will grant you more Free Spins!